Julián Esteban Torres López has worked as a researcher on numerous projects since 2002. He has won fellowships and grants to conduct research in the humanities and social sciences, and has presented his findings and provided analysis on local and international media, as well as conferences and universities in the U.S. and Canada. He has also worked as a researcher in the private sector for one of the world’s most valuable companies and on a range of social-political projects, which have taken him to Canada, the U.S., Ecuador, and Colombia. Find below a sample of projects Julián worked on and grants/awards he received as a researcher and scholar. Julián’s contributions as a Researcher led to the following publications. 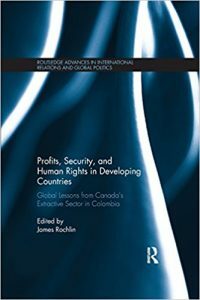 James Rochlin, Editor: Profits, Security, and Human Rights in Developing Countries: Global Lessons from Canada’s Extractive Sector in Colombia, (Routledge, 2017). 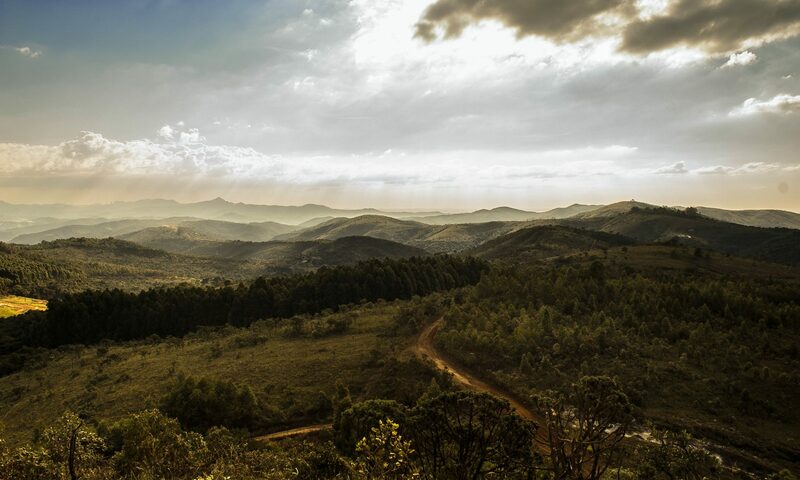 Julián’s research for the grant on Canada, Human Rights, and Colombian Mining, granted by Social Sciences and Humanities Research Council, 2012-2015, helped the project get off the ground, which ultimately led to this book. James Rochlin, Author: “A Golden Opportunity Lost: Canada’s Human Rights Impact Assessment and the Free Trade Agreement with Colombia,” The International Journal of Human Rights, 18(4-5), July 2014, pp. 545-566. James Rochlin, Author: “Colombia’s New Left and the Challenges of Security,” Latin American Perspectives, 39 (1), January 2012, pp. 10-27. James Rochlin, Author: “Who Said the Cold War is Over? The Political Economy of Strategic Conflict Between Venezuela and Colombia,” Third Word Quarterly, March 2011, pp. 237-260. 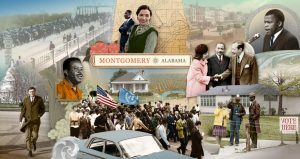 Legend captions for 1,000+ historical photographs used in nearly 150 graphically-designed community murals installed in 25 U.S. states, Community Mural Program, Wells Fargo, 2013-2015. The program’s mission is to create unique, custom-designed, historical artwork that respects the community’s legacy, celebrats its diversity, and honors the past upon which the community was founded. Julián worked with historical societies (local, county, state, and national), libraries, and archives to (a) discover the stories that represented each specific community’s legacy and (b) to be able to write the captions. On-Air Interview, Al Jazeera, discussed the implications of the death of FARC guerrilla leader Alfonso Cano, November 2011. Panelist + Paper Presenter at the 29th International Congress of the Latin American Studies Association, “The Insecurity of Security Policies in the Andes: An Analysis of the U.S.-Colombian Fight Against Narco-Terrorism and Its Impact on Colombia’s Neighbors,” Toronto, October 2010. Paper Presenter: Three comprehensive essays presented and defended successfully to earn candidacy for Interdisciplinary Graduate Studies PhD at the University of British Columbia Okanagan. 1st essay: “Why Colombia’s Conflict Has Been Armed.” 2nd essay: “Toward a More Realistic Colombian Political Realism.” 3rd essay: “Negotiations Between the Colombian Government and the FARC: The Struggle for Truth.” September 2010. Panelist + Paper Presenter at the public workshop “Colombia, the Conflicts, and Beyond: Perspectives on a Canadian Ally.” Sponsored by Simon Fraser University Latin American Studies Program, University of British Columbia Latin American Studies Program, Latin American Studies Students’ Union (SFU), Simon Fraser Students’ Society, and the SFU Graduate Student Society, Vancouver, April 2009. Paper Presenter, “The Colombian Centaur: A Gramcian Approach to Hegemony and Transformation During Simón Bolívar’s Colombia,” Faculty of Creative and Critical Studies & Interdisciplinary Graduate Student Conference, “Borders and Border Crossings: An Interdisciplinary Graduate Conference on Liminality, Hybridity, Mediation, Exchange, and Everything In-Between,” University of British Columbia Okanagan, March 2009. Paper Presenter, “The Ethics of Human Sacrifice: Women and Children First,” presented to the Department of Philosophy’s Socratic Society at the University of New Hampshire, December 2005. Master’s Thesis defense, “Marx’s Humanism,” Department of Justice Studies, University of New Hampshire, May 2005. Paper Presenter, “The Social Construction of the Taboo of Cannibalism: An Ethical Dilemma for Vegetarians and Meat-lovers Alike,” University of New Hampshire Philosophy Conference, April 2005. Paper Presenter, “Curious vs. Certain Dispositions in Dialogue: Roadblocks and Pathways Toward Understanding and Clarity,” University of New Hampshire Philosophy Conference, April 2004. Paper Presenter, “Historical, Political, and Social Influences on the Poetry of Gil Scott-Heron and Saul Williams,” University of New Hampshire McNair Opportunity Program Summer Fellowship Conference, September 2002. Museum Manager, Wells Fargo History Museums (San Francisco), November 2015-December 2017. Developing exhibits, education programs, tours, and other events to attract visitors and help them gain a better understanding and appreciation of the Wells Fargo historical collection. Interim Director, McNair Scholars Program, University of New Hampshire, January-May 2006. McNair is a federally funded TRIO program that prepares minorities and underrepresented undergraduates for graduate school and independent research projects. Instructor, Research Proposal Writing course, McNair Scholars Program, University of New Hampshire, January-May 2006. Research Peer Advisor, McNair Scholars Program, University of New Hampshire, May-August 2005. Research Topic: “Colombia’s Incessant Armed Conflict,” 2013. 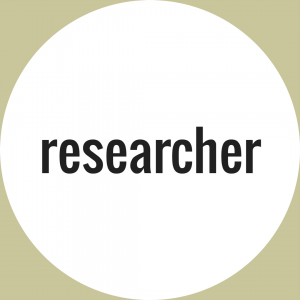 Research Topic: “Conflict Resolution in Colombia,” 2010-2011. Research Topic: “Colombian Foreign Relations, Human Rights, Security, and Civil War,” 2009-2010. Research Topic: “The Faces of Colombia’s Armed Conflict,” 2009. Research Topic, “Historical, Political, and Social Influences on the Poetry of Gil Scott-Heron and Saul Williams,” 2002. Research Topic: “‘Orientalism in the Andes: Construction of Arab, Chinese, and Russian Identity in Ecuador and Venezuela,” 2013. Research Topic: “Human Security and the Colombia-Canada Free Trade Agreement,” 2012-2013. Research Topic: “The Canada-Colombia Free Trade Agreement and Human Rights,” 2011. Research Topic: “Petro Power in the Andes: The New Strategic Landscape in Venezuela, Colombia, Ecuador, and Colombia,” 2008-2010.
International Partial Tuition Okanagan Scholarship, University of British Columbia Okanagan, 2008-2011. Entrance Scholarship, University of British Columbia Okanagan, 2008. Graduate Full Time Scholarship, University of New Hampshire, 2004-2006. Opportunity Scholarship, University of New Hampshire, 2002-2004. Samuel Tamposi Scholarship, Rivier College, 1999. Law Award, Nashua Sr. High School, 1999.